Written by Mick Hanly. A very cleverly written song by Mick,what a lovely melody it is and covered beautifully by Mary Black. 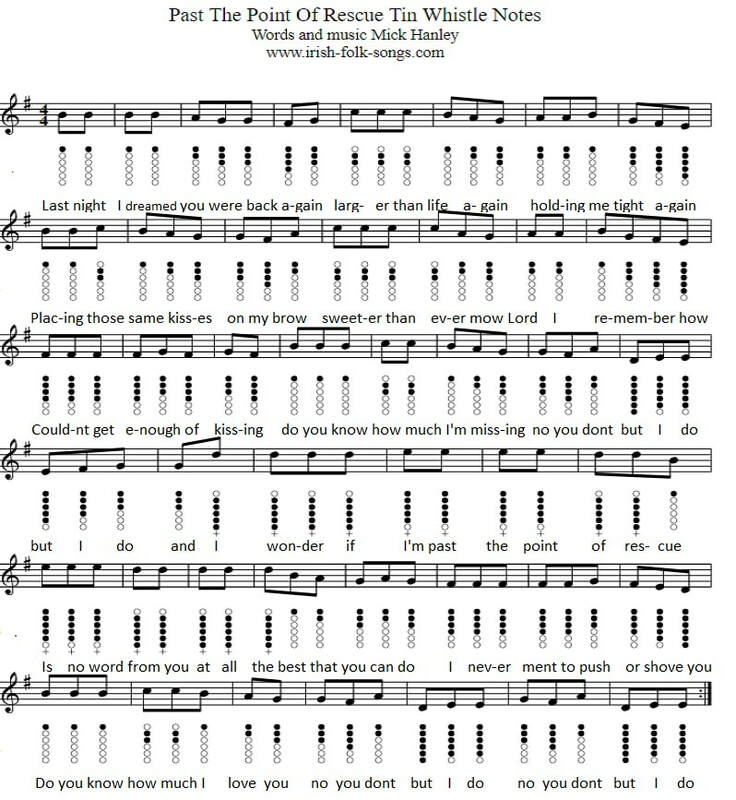 The last verse was added at a later stage by Mick and thanks to Mike Pennington for sending it to me.The tin whistle sheet music notes are now included. The youtube video is by Irish singer Mary Black. [A]No you dont,but I[E7] do. Past The Point Of Rescue Sheet Music Notes In The Key Of G Major.